Quilting Made Easy patterns help beginning quilters feel comfortable with quilting their own quilts. 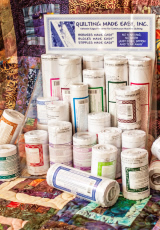 Experienced quilters also appreciate the ease of use and elimination of the step of marking a quilt before quilting. There are 38 designs in varying widths and levels of difficulty. can control the stitch length, the results are professional looking giving the quilter the confidence to proceed to free-motion quilting (200, 300 & 400 series patterns). Corner patterns and instructions are included in the core or printed on the pattern strip. There are also two sizes of blank paper available with adhesive on the edges for the quilter that would like to design their own pattern. 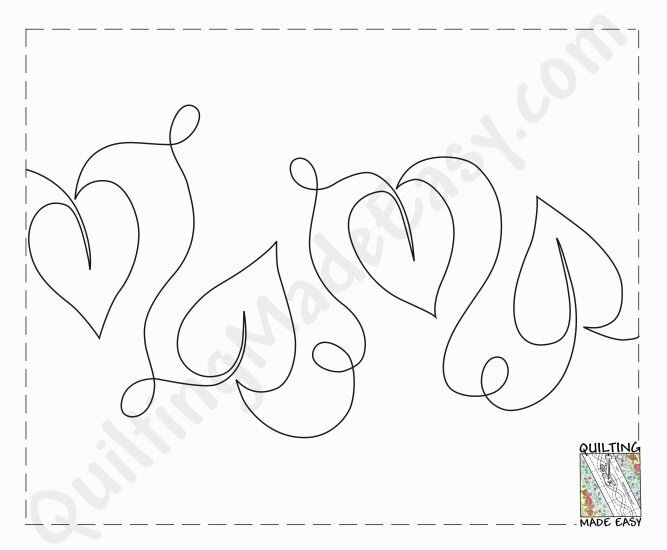 Quilting Made Easy patterns can be used with your home sewing machine and Longarm quilters can use these patterns as a pantograph.